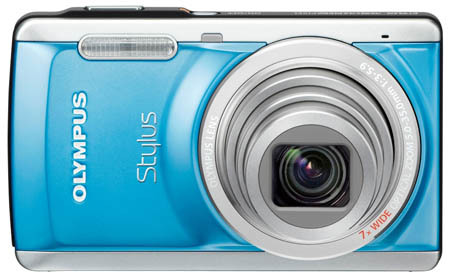 Olympus's Stylus 7040 is a full-featured, "Hybrid" digicam that is compact and easy to use. The camera lacks a little in image quality and the performance is average. Read more in our Full Conclusion. The Olympus Stylus 7040 is an ultra-compact digicam that had been equipped with all of the features that anyone would need to take fantastic pictures in almost any situation. Sporting a 14-Megapixel imaging sensor, you will easily be able to capture poster sized images without missing any of the small details in the image. Also featured is a 7x wide optical zoom lens, Dual Image Stabilization, 3-inch LCD screen, Tracking AF, 2GB of Internal memory and 720p HD video capture gives you an almost unparalleled feature set. The Olympus Stylus 7040 is available now with a MSRP of US $249.99.